Hi everyone! 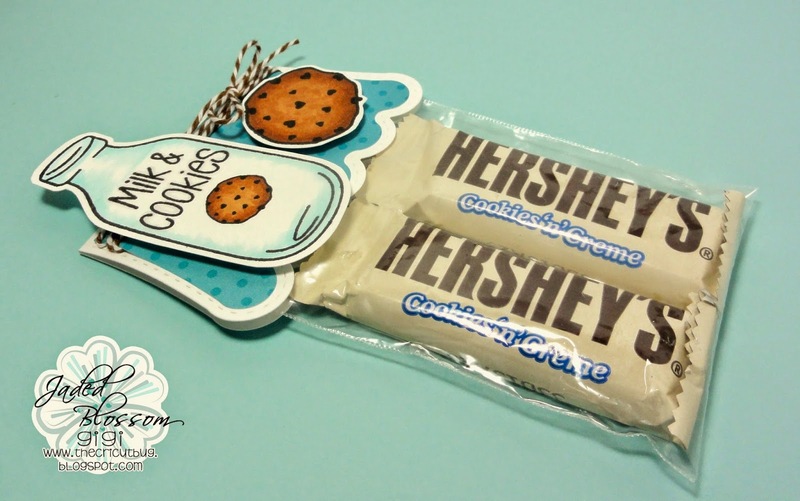 This is GiGi from The Circut Bug and I am sharing this fun Milk and Cookies treat I made using the Monthly Spotlight stamp set, Milk & Cookies Revamp. This is such a fun stamp set! There are so many possibilities with it! 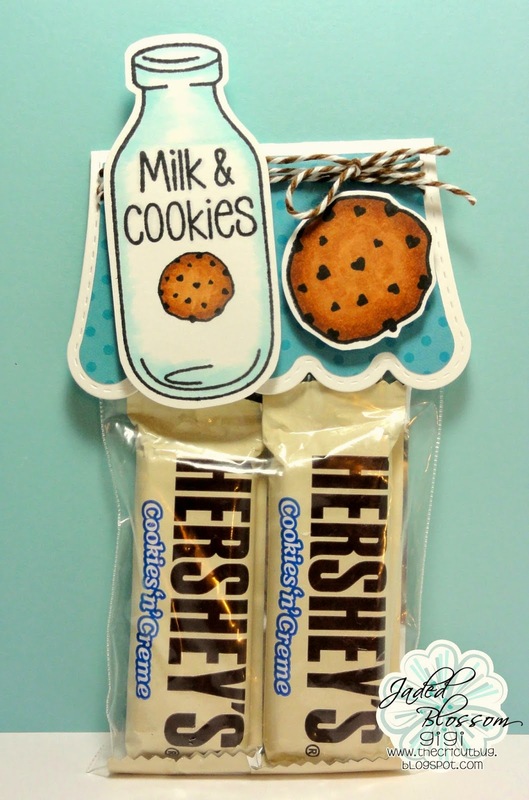 I used the Scallop Slider and Topper Die to cut out the top and added it to a 3 X 4 inch Clear Bag that I added some Cookies N Cream candy bars to. 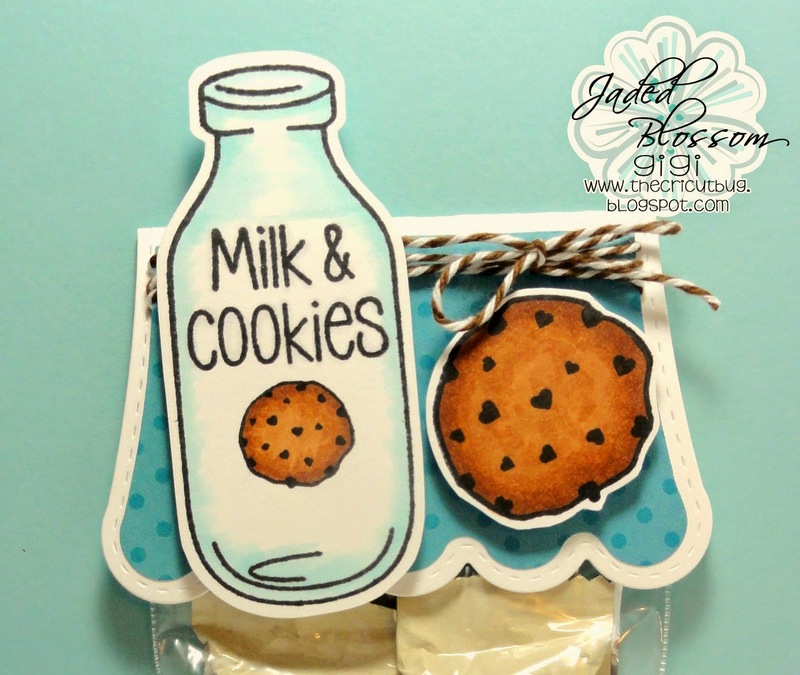 I stamped and colored the milk bottle, cookies, and sentiment from the Milk & Cookies Revamp stamp set. I added some twine to the decorative mat and pop dotted the milk bottle and cookie on top. 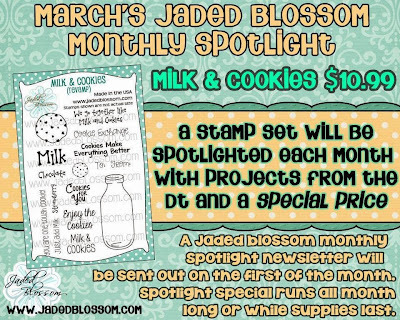 I hope you all liked my project for today and don't forget to get your own Milk & Cookies Revamp stamp set at a great price this month! This is so fun Gigi! These makes such cute treats! This is sooo cute, Thanks for sharing.